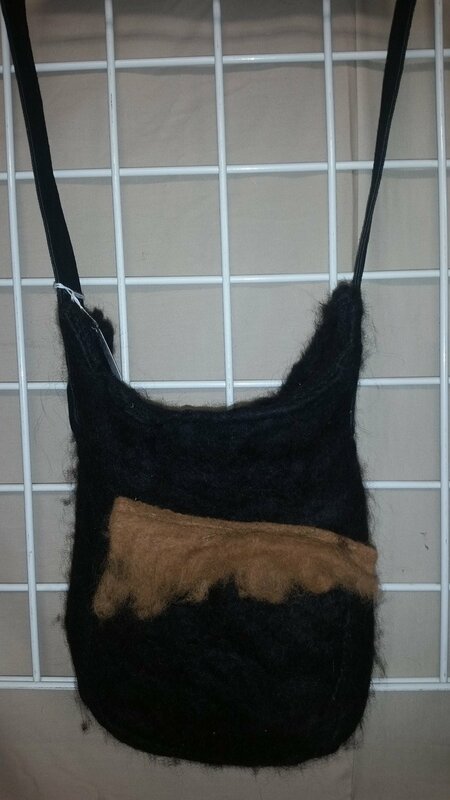 Cute felted purse with tan fringe. Suede strap,soft fun purse. 100% alpaca except for the suede strap.